After a recent cold spell, today’s warm weather in Appalachia has us itching for some outdoor time! The Blue Ridge mountains are filled with beautiful forests and trails, offering us so many ways to support our wellness by breathing in mountain air, soaking up some Vitamin D from the sun, and empowering ourselves with a sense of adventure! Every outdoor adventure calls for some good trail snacks. 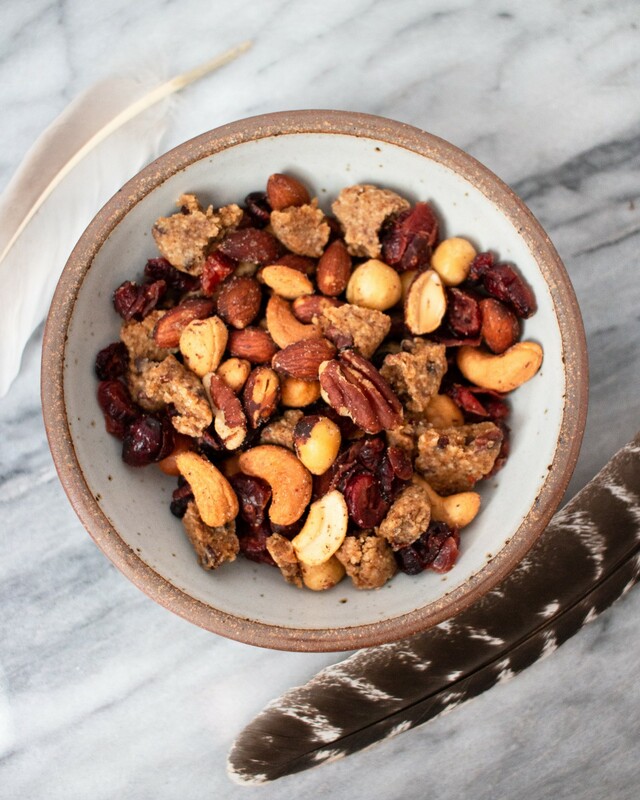 This homemade trail mix is made with nuts, cranberries, and crumbled @cbdsuperfood x @living_kitchen for a touch of CBD-infused goodness! We recommend munching on this during your hike. It’s a great way to keep things mellow and to prep for a rejuvenating meditation session within the trees. Crumble Living Kitchen x CBD Superfood cookies into large chunks. Store in sealable container to keep in your pantry or take with you on the trail! Glass jars are a great way to store your trail mix and avoid creating plastic waste.